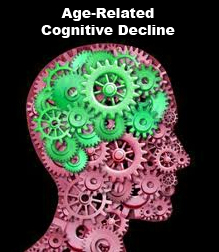 Several clinical trials suggest that acetyl-L-carnitine delays onset of ARCD and improves overall cognitive function in the elderly. In a controlled clinical trial, acetyl-L-carnitine was given to elderly people with mild cognitive impairment. After 45 days of acetyl-L-carnitine supplementation at 1,500 mg per day, significant improvements in cognitive function (especially memory) were observed. Another large trial of acetyl-L-carnitine for mild cognitive impairment in the elderly found that 1,500 mg per day for 90 days significantly improved memory, mood, and responses to stress. The favorable effects persisted at least 30 days after treatment was discontinued. Controlledand uncontrolledclinical trials on acetyl-L-carnitine corroborate these findings.